[Sponsored content] ESTATE PLANNING: WHAT IF YOU LIVE? Facing the inevitable and putting your affairs in order may not be the brightest subject, but it really is important. 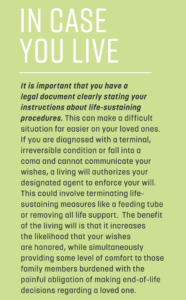 Often we think estate planning is only for cases of death, but what if you live? A plan is needed for plenty of living reasons like severe accidents, Alzheimer’s, dementia and so on. Think of estate planning as one last gift you can give your family at a time when they need it. Each estate has its own story, and every family has a different dynamic. Through their personal experiences, the attorneys at Lineage Law are able to make the estate planning process enjoyable. Here, Stephanie Prestridge, Paula Ouder and Amy Boudreaux share their personal estate stories. Connect with Stephanie, Paula, Amy and their team more information on your personal estate planning at lineagelaw.com. 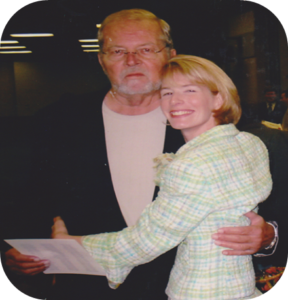 My Pawpaw’s unplanned estate changed my law practice and my life. When most people think about estate planning, they think about what happens when they die. Certain illnesses can require a plan, too. Stephanie Prestridge will never forget the day that her grandmother called with news of her grandfather’s Parkinson’s diagnosis. “My Mawmaw, one of the strongest and most intelligent women I knew, called me, a twenty-something year old, for help,” Stephanie says. “She had lots of questions about her options, what would happen to their savings, and what about their home?” Stephanie’s Mawmaw was overwhelmed, confused and scared. At the time, Stephanie was an attorney, but she wasn’t their attorney. She accompanied them to meet with their estate lawyer. She asked just as many questions as her grandparents. “I was there because I was scared, too,” she admits. “While they got a perfectly nice estate plan prepared, it really wasn’t personal since the person providing the legal service had never been as overwhelmed or as confused or as scared as we were.” From that experience, Stephanie learned that estate planning is not just about the paperwork. It’s about the relationships. Her goal is for clients to know that they are not alone in contemplating some of life’s biggest issues—family, money, illness, and death. 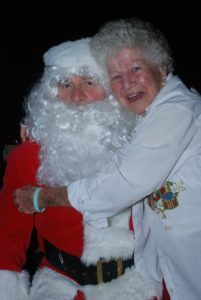 Paula Ouder’s mother, Ruth, is always on Santa’s nice list. Paula Ouder’s mother is 88-years-old and doing quite well. She still drives, cleans her house, does all her own shopping and cooking, and has more energy than most people half her age. Over the last nine decades, Paula’s mother has suffered a great deal of loss. She’s buried two husbands and four of her six children. Says Paula: “I have seen too many cohesive families torn apart after the death of their matriarch or patriarch over disagreements about who should receive a particular piece of jewelry or what to do with assets like the family home.” Many people don’t realize that if you outlive your child, the descendants of that child will automatically inherit their parent’s share of your estate if you die without a will or trust in place. More heirs make it more complicated to reach a consensus on how to manage and divide the estate. Amy with three generations of Boudreauxs celebrating the holidays. 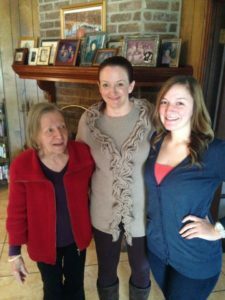 When her mother was diagnosed with Alzheimer’s, Amy Boudreaux discovered her passion for helping families plan for life’s challenges. She learned firsthand that caring for a family member with dementia can be overwhelming, exhausting, and often confusing. “Most of us think our families know the type of care we want if we become ill,” Amy says. “The reality is, in a time of family crisis, each member of the family tends to have a different opinion as to what that care looks like.” A solid estate plan includes instructions about the type of care you want to receive if you are incapacitated or unable to manage your own affairs. This will relieve a lot of the stress placed on your family members.